"New Frontiers in Hearing Healthcare"
Don't gamble with your future! SmartPhone Based Apps as a Substitute to Traditional Hearing Aids? Cracker Barrel "What's New and What's It Do?" Industry Experts - The course is designed to provide a forum for up to six mainstream manufactures to present on what type of phone apps are available for their hearing instrument platform for expanding and enhancing prospective patients' hearing experience and added value. Leitman Memorial Lecture: "Otoplastics - 2015 Update"
The Conference is expected to be approved for 1.0 CEU credits from ASHA and AAA, and 10 CEU credits from IIHIS. New York State Continuing Education Credits will also be available upon request. 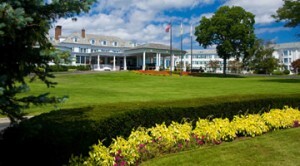 If making a reservation be sure to request the NJAHHP Conference special rate of $135.00 per night. Rooms will be held at the convention rate only until March 21. Call the reservations line at 1-855-894-8698 and ask for the “NJAHHP rate” or book online at http://tinyurl.com/njahhp15 . Call 609-748-7646 to register for the NJAHHP Golf Outing at a special greens fee rate. Elizabeth Arden Red Door Spas: Reserve through 609-404-4100 or visit http://www.reddoorspas.com/.